This much is undeniable. 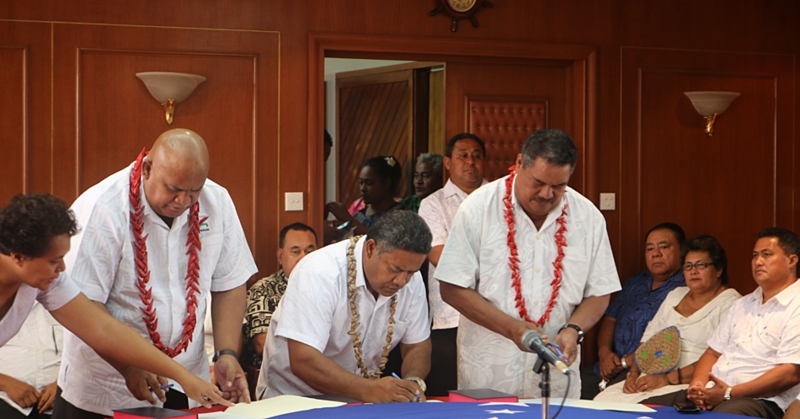 Samoa absolutely needs an opposition party. A quality opposition party at that too, not one driven by emotions and anger which stirs up animosity among the population. We also want a party that doesn’t misinform people. In any democracy, the role of an opposition party is critical. It exists to provide checks and balance and to hold the government of the day to account for their decision-making and more. Indeed, they are there to ask questions of the system and highlight faults and flaws, especially in the area of finances and policies. Speaking of finances, they play a very important role in exposing corruption; highlighting wrongdoing and bringing to the public’s attention what they believe the real issues of the day are – including abuse of power and positions, which is rampant in political circles. In Samoa today, the truth is staring at us unblinkingly. In the absence of an official opposition party, we are a one party state. Numbers don’t lie, in a Parliament of 50 members, 47 belong to the ruling Human Rights Protection Party. 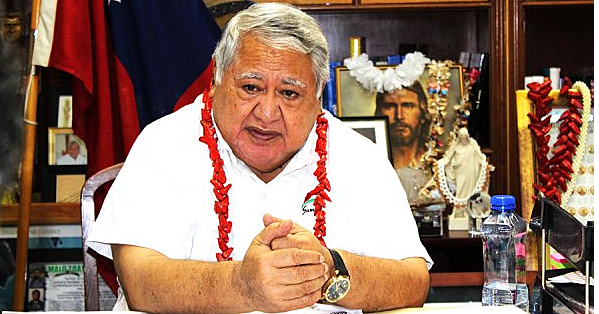 Olo, who has been an opposition MP all his political life, has over the years developed a reputation as a fearless critic of the Government who would take on anybody including the most powerful politician in Samoa in the form of Prime Minister Tuilaepa Dr. Sailele Malielegaoi. History exists to remind us of the many clashes between the two politicians where the name-calling knows no end. And with the election coming in two years time, this relationship is only to become even more interesting to follow. There is another element of course. After the last General Election when Prime Minister Tuilaepa appointed all his Cabinet Ministers and Associate Minsters, he made a point at the time that all other HRPP members were unofficially opposition members in Parliament. Now this is important because we’ve seen some instances where these HRPP members have taken their new role quite seriously and literally. During some Parliament sessions, one could be mistaken for thinking that some of these HRPP members have crossed the floor listening to their tone in Parliament. But that’s just one part of being an opposition MP. There is a lot more. What we have seen and this where we the need for an official opposition party becomes quite acute is when matters of national importance – especially Constitutional amendments – are put to a vote. Although other HRPP members are unofficially opposition members, they would not rock the boat and they will always toe the party line. All you need to do is look at what has happened to former Speaker Laauli Leuatea Schmidt and how the HRPP has treated him after he rocked the boat during the last Parliament session. Indeed, regardless of what they say, political parties want control and nothing but complete control. Where a more insidious form of dictatorship exists, the almighty and powerful will always want to crush that lone voice of dissent. La’auli, as we’ve all seen, has found himself in that position. We don’t envy being in his shoes right now but we admire his tenacity and courage to take on a system that has become so powerful over the years the only way it could break up is if it self-destructs. Now, is there a possibility of that happening in the HRPP? Who knows? You be the judge. The fact is nothing lasts forever. As powerful as all the powerful regimes in the world go, history reminds us that there was always a beginning and an end. It’s just the way it is. It’s not a question of whether it will happen but it is only a question of when and how it will happen. This ruling government is not immune. But these are interesting times. Having had Prime Minister Tuilaepa at the helm for so long, the question that is on everyone’s lips is this: What is the succession plan after Tuilaepa? And who will take over should the current Prime Minister decide to call it a day? Everyone has an answer just as everyone has an opinion. There is no doubt even members of the HRPP have been talking among themselves – perhaps whispering quietly too – about the future. What will happen and how will it all unfold? In the meantime, it brings us back to the issue of having an official opposition party. Now is the opportune time to organise an opposition party, with a couple of years remaining before the General Election. If anything, this country needs an effective opposition party now more than ever. But it helps when people putting themselves up are people with credibility and of good standing in the community. We need brave men and women to stand up, not extremists and loudmouths. What do you think? Have a wonderful Wednesday Samoa, God bless!